Sculpture Size: 11 X 9 X 3.5 in. Beautiful “Margarita” is green and her tail is blue! 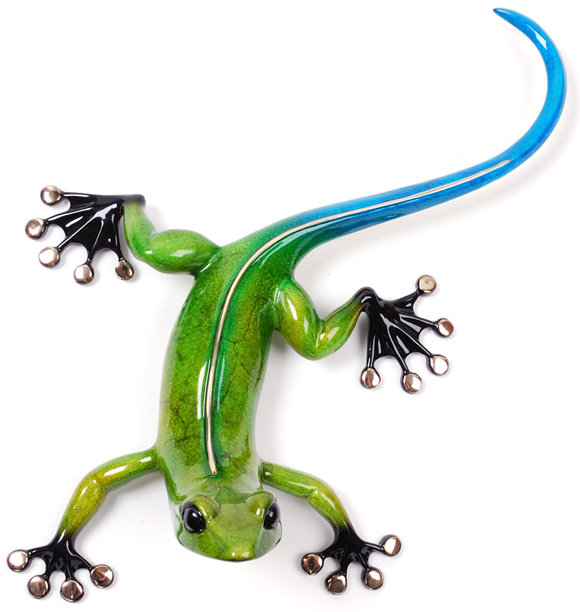 Tim Cotterill has created a line of gecko sculptures that are designed to hang on the wall. They come with a built-in hanger, so all you need is a nail or screw and a spot in your home that needs a touch of Frogman magic!